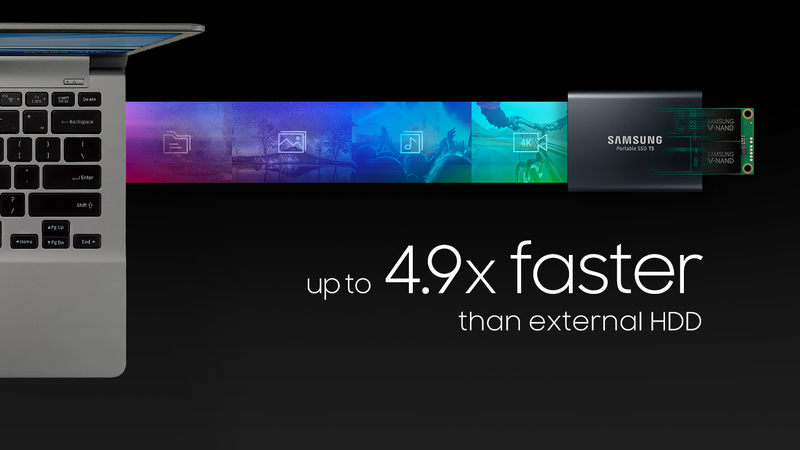 Samsung has come up with a new SSD that is pocket-sized, yet packs some compelling performance. The new T5 Portable SSD comes boasting impressive speeds in a compact case. The T5 portable SSD is built with Samsung’s latest 64-layer V-NAND technology. It features the USB 3.1 Gen 2 protocol, increasing the data transfer rate to 10 Gbps. The T5 offers transfer speed up to 540MB/s and 2TB of storage space. The new SSD is durable and safe – made with the shock-resistant internal frame, and it can survive a drop of up to 2 meters on a hard surface. On the security front, it boasts AES 256-bit encryption to protect the data on board. It measures 74 x 57.3 x 10.5mm and weighs 51 grams. The device is small and easily portable. A mobile app is also available for Android smartphones and tablets for a smooth interface. 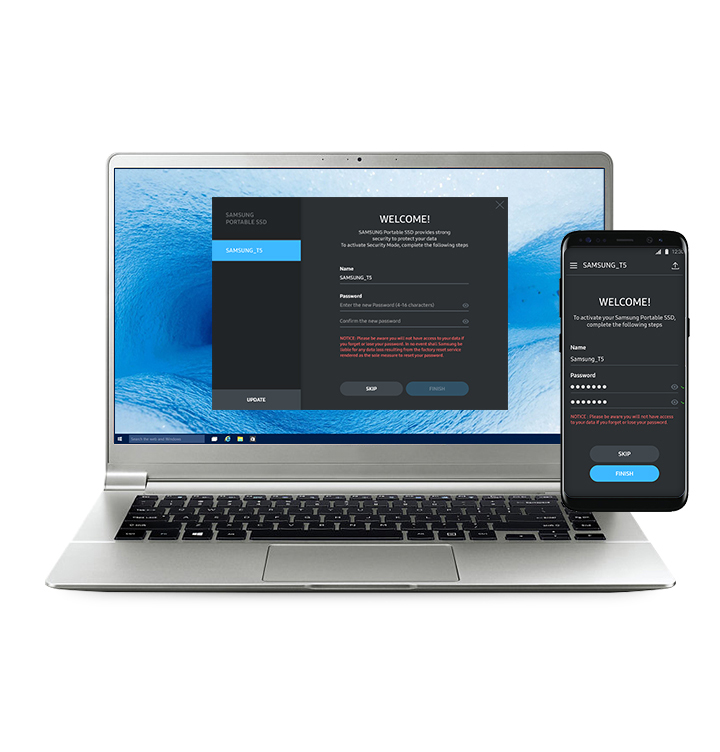 Also, the T5 includes two connection cables – USB-C to C and USB-C to A – for enhanced compatibility across numerous devices. The device is compatible with PCs, Mac, Smartphones. However, to get the speed rate of 10 Gbps, your device needs to have a USB 3.1 Gen 2-compatible port. “Samsung has been pushing the envelope of what is possible in portable storage and solid state drives for years. 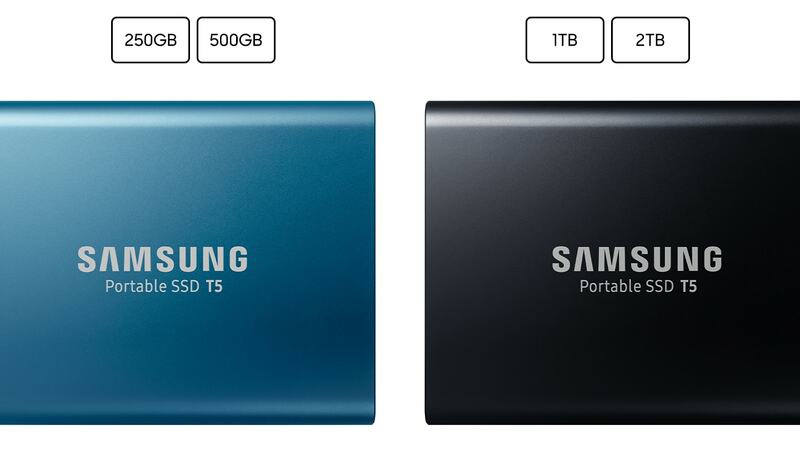 And the Portable SSD T5 continues our legacy of leadership and innovation,” said Un-Soo Kim. He is the Senior Vice President of Brand Product Marketing, Memory Business at Samsung Electronics. The T5 SSD comes in two colors – Alluring Blue and Deep Black. The Alluring Blue SSD comes in two capacities – 250 GB and 500 GB. The Deep Black model also comes in two capacities – 1 TB and 2 TB. The T5 comes with a three-year limited warranty and is available globally from August 15, 2017. The lowest capacity – 250 GB costs $129.99, and the highest 2 TB costs $799.99.